James H. AustinTake a trip through the topography of the brain, and you're likely to get lost somewhere around the medulla oblongata. Zen can lose you before you've even pretzeled your legs into the lotus position. But a unique neurologist-Zen Buddhist has written a tome that is a map to all the mysteries of meditation and mind. Take breathing out, for example. We spend just over half of our breathing time exhaling. For meditating monks, it's a full three-quarters. EEGs show us that the act of exhaling helps physically quiet the brain. 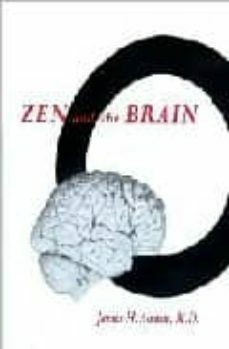 Many other causal connections can be found between Zen practices and the physiology of the brain, and James H. Austin lays them out one by one, drawing from his own Zen experiences and the latest in neurological research. So if you've ever wondered what the corpus callosum has to do with consciousness or how the limbic system contributes to enlightenment, Austin will get your brain racing and put your mind at ease. --Brian Bruya --This text refers to an out of print or unavailable edition of this title.